Go Shuck An Oyster: Support the Massachusetts Oyster Project by using a credit card. 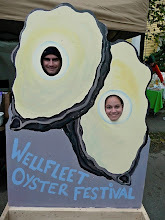 Support the Massachusetts Oyster Project by using a credit card. GoShuckAnOyster.com encourages you to support the Massachusetts Oyster Project (MOP) by signing up for and using a credit card. MOP has partnered with CapitalOne to develop a no-fee affinity credit card. If you sign up and use it once, they donate $25 to MOP and then 1% of all paid charges thereafter will go to MOP. MOP will use these funds to help place oysters in the harbor. For more information about the Massachusetts Oyster Project read my April 2, 2009 blog post or visit the Mass Oyster Blog by clicking here.